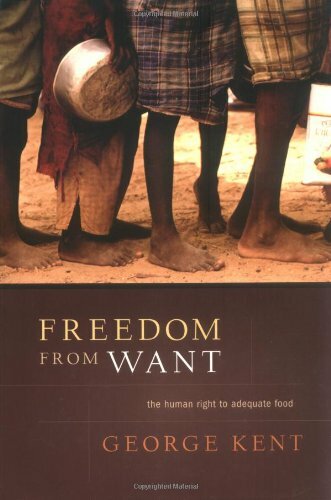 This is both a descriptive and normative argument that worldwide hunger is best addressed as a human rights issue. Kent analyzes the current deplorable state of world hunger and malnutrition, demonstrating how governments, not food shortages or climates or famine, are to blame. Adequate food as a human right requires that governments provide the resources and freedom to allow individuals and communities to provide for themselves. The manuscript includes numerous tables and illustrations, as well as a bibliographic essay. This book engages critically with the metaphor of war in the context of terrorism. The authors write about terrorism from the perspective of international law, public and constitutional law, criminal law and criminology, and legal theory. This second revised edition includes the expanded findings of trafficking of women and children for purposes of commercial sexual exploitation in the Americas. Included are the regional overview of Belize, Costa Rica, the Dominican Republic, etc. The book finds the Bush Administration has undercut its own intended use of the military commission system at Guantanamo Bay by allowing the admission of coerced evidence. The report focuses on six prisoners who have alleged abuse while in custody.